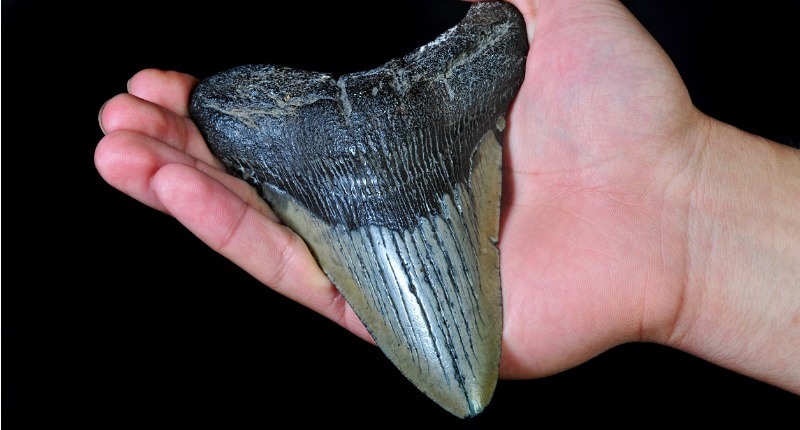 Megalodon, one of the fiercest and largest predators that has ever lived, is a mystery to both researchers and people interested in marine life. The shark existed for at least 13 million years, with the earliest fossils dating back to 20 million years ago and the latest one to 2.6 million years. Model of a shark’s jaws with two visible rows of teeth. There are two big misconceptions about the species that are now proven to be wrong. The first is that megalodons looked just like a great white — only much bigger. Second is the belief that these tremendous predators still roam the depths of our oceans. Most reconstructions on display present it as an enlarged version of the great white shark. This is due to the fact that scientists believed them to belong to the same family of sharks. However, nowadays we know this to not be true. Megalodons belong to a completely different lineage of sharks than the great white and is the last specimen of its family. That lineage ended when the fish became extinct. It is believed that the evolution of this species dates back to 105 million years ago, and that it begins with Cretalamna appendiculata. 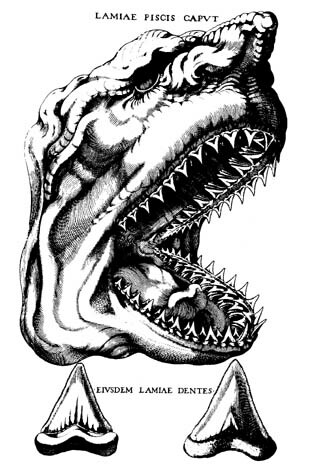 The oldest definitive ancestor of what was known as a megalodon is Otodus obliquus, a 50-million-year old shark. As opposed to the great white, a megalodon had very long pectoral fins, like the blue shark. Also, fossils prove that the megalodon had a flat jaw and much shorter nose. 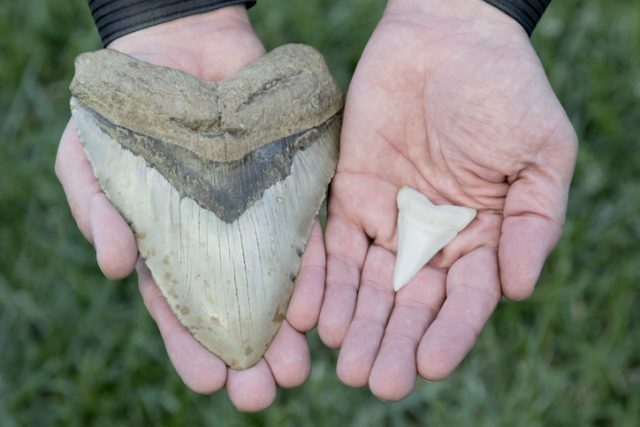 Six inch megalodon tooth vs two inch great white shark tooth. Each inch equates to about 10 feet of fish: 60-foot megalodon vs 20-foot great white. And regardless of what the movie The Meg portrays, it has been proven that the megalodon is extinct, even if some sources still claim that there is a chance that these sharks are still roaming in seclusion. 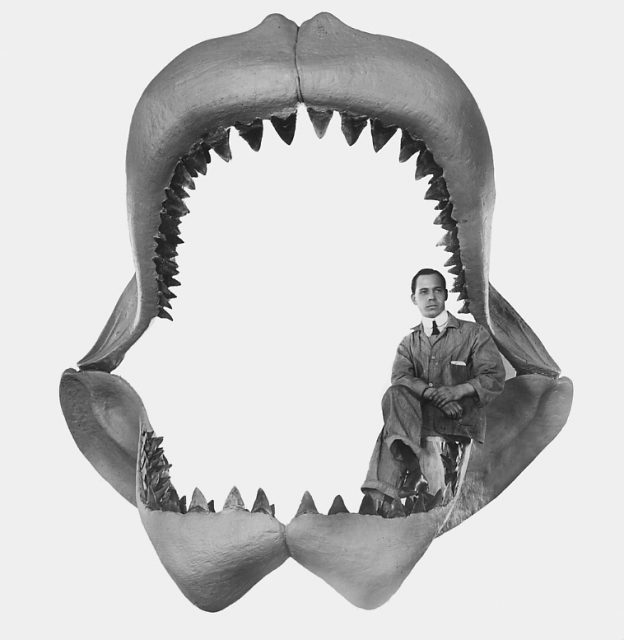 Bernard continues: “’If an animal as big as the megalodon still lived in the oceans we would know about it.” First off, as sharks shatter and lose their complete set of teeth once every two weeks the ocean floor would be filled with giant megalodon teeth, it would be impossible for us not to encounter them. 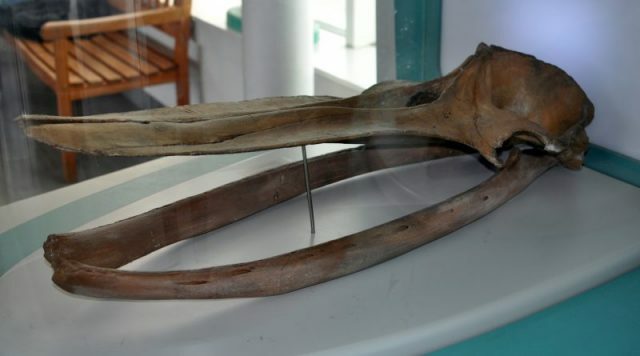 Secondly, other marine animals, and their remains, would serve as proof of unfortunate encounters with this giant. Reconstruction by Bashford Dean in 1909. Lastly, even though the megalodon was found all over the world, it is known that it preferred warm waters. The ocean floor would be too cold for it. It is known for sure that it became extinct between 3.6 and 2.6 million years ago, by the end of the Pliocene era. This was the period when the earth entered a cooling cycle. There is a variety of ways in which the cooling of the planet could have significantly contributed to the end of the megalodon. 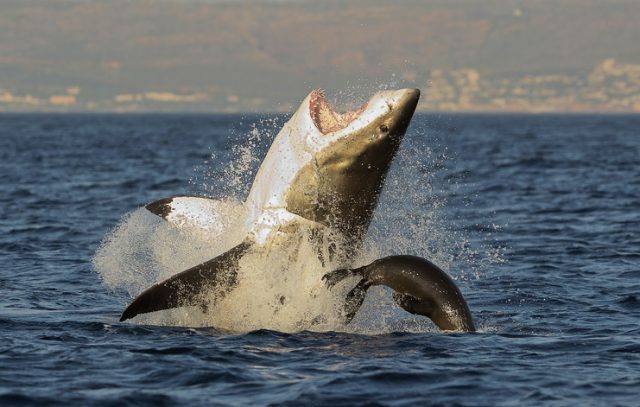 Great White Shark (Carcharodon carcharias) breaching in an attack on seal, South Africa. 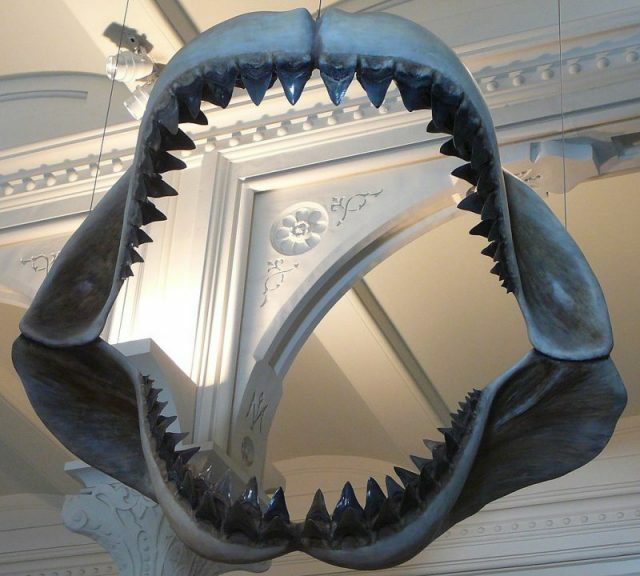 Scientists have concluded that almost a third of marine animals that were at the bottom of the food chain became extinct, which resulted in predators, such as the megalodon, significantly struggling to feed. Additionally, megalodons gave birth to their young close to the coast where the water was shallow and warm. Most importantly, shallow waters were used to provide protection from predators that were dangerous for the young sharks. However, as the warm shallow water turned into ice the megalodon lost its source to securely bring its young into the world. 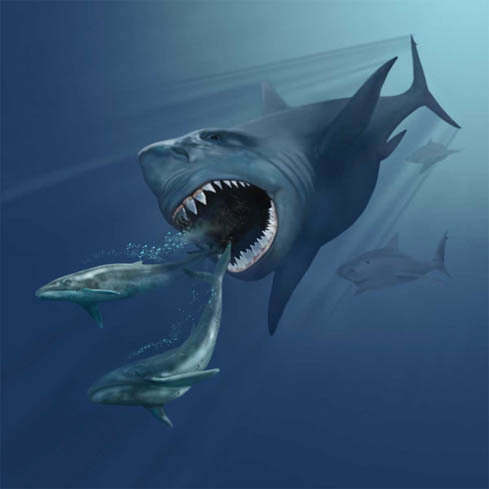 So while megalodons will always exist in the popular imagination and on the big screen, they will never (well I guess never say never) exist in modern reality.